Jonathan Case, creator of the graphic novel Dear Creature and the artist of many works for Dark Horse Comics, including Green River Killer, The Guild, House of Night, The Creep, and Eerie knows a thing or two about his art tools. 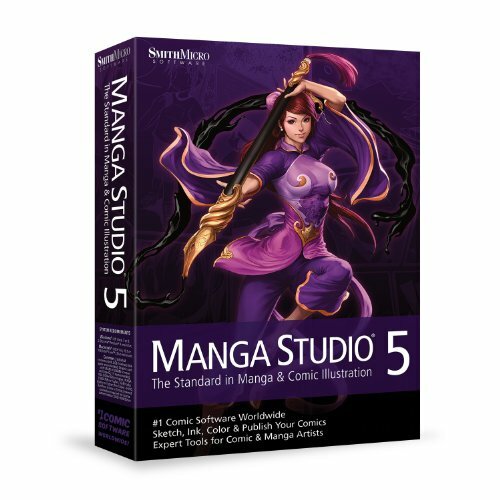 Last month he posted a great write-up detailing his experience on the Surface Pro and his new-found tool of choice Manga Studio 5. Thanks to a compatibility question from Twitter follower Troy Church (@tchurch), I was persuaded to upgrade an older copy of Manga Studio just last week and I was delighted to discover that it's the first desktop program I've tested that supports pinch and zoom while sketching. The interface of Manga Studio is still a little too cluttered for the Surface Pro's screen, but it clearly is a tool that pro users like Case and Penny Arcade artist Mike Krahulik are using to full effect. Case also has a newer post celebrating the release of Wacom's pen driver update.